If you're not a freelancer, you most probably deal with interruptions and productivity issues everyday at the office. It's rather hard to avoid that kind of problems if you work in a company, but there are ways to beat all those obstacles and increase your productivity at work. Clean up. Take a look at your desk. Does it look like a tornado just passed by or is it clean & tidy as if your mother was working there? Chances are you're going to go with the first one. The clutter is distracting and may stop you from focusing on the task at hand. (And your mom wouldn't be happy to see you working in such a mess, either.) So, take 5 minutes to clear up some space. Keep at hand the stuff you use daily, like pencils, agendas and whatnots. Organize in drawers or folders the files you need every once in a while so they're not in the way when you don't. And throw away the useless stuff like old memos and wrappers. It's a no-brainer, but it's going to help increase your work environment productivity. Sit up straight. Get the right chair and try your best to sit correctly. It's a real pain in the... back not to do your work because of sitting wrong. Also, get up from time to time to stretch your legs and take a walk around the office. It's good for your bones and it'll help you take your mind off of things for a while. Light up the room. A productive office environment should include lots and lots of light. And while it may not be possible to move everyone's desk right next to the window, you can make up for it with artificial light. Make sure you have plenty of light at any time of the day and that you get some natural light too. So, get out of your cave-like cubicle and go search for real sun light. Mark your territory. If you're going to spend at least 8 hours at that desk, at least make it suit you. Bring a photo of your cat, a small toy you like (Rubik's cube, for example, would be fun and would also help you increase efficiency at work) or something to make that office seem more cozy & familiar. But don't overdo it. If your office is now a big pile of fluffy toys, you might have gone a bit too far. Give up the open space office. If you already work in such an environment you might have noticed that open office productivity is rather low. Most people complain about lack of privacy and the large amount of noise, and they're right. A productive office environment should facilitate collaboration, but also allow people to have some sort of privacy when discussing their work-related issues. So, if you can, try and get away from those productivity killers. 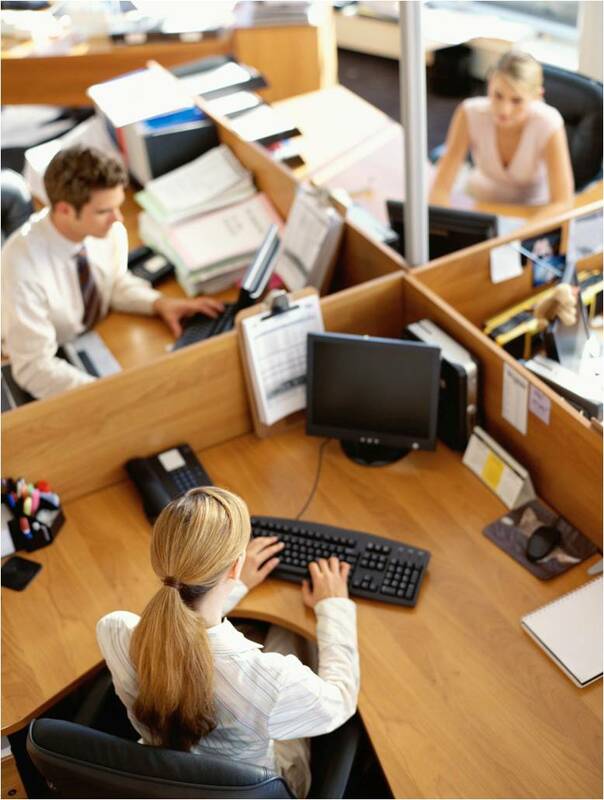 There are our tips for increasing efficiency at work and productivity in the office. What other tricks do you use to stay focused on your work while you're at the office? And how do you cope with the open office productivity issue? Tell us in the comments below.